This is the 5th Vol. 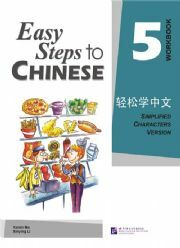 Workbook of Easy Steps to Chinese series, providing exercises closely related to the content in the 5th Vol. Textbook. 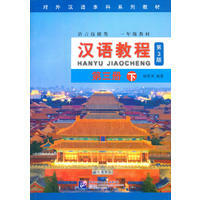 Compared with the previous four volumes, this volume puts more emphasis on the training of students’ understanding of the whole passage. So, it not only includes exercises for each lesson, 5 units of reviews and tests, and the vocabulary list indexed on pinyin, but also adds more reading comprehension exercises. The passages are longer and more difficult, in which some words not listed in the vocabulary appear. This greatly improves students reading comprehension ability and cultivates students’ overall language ability.